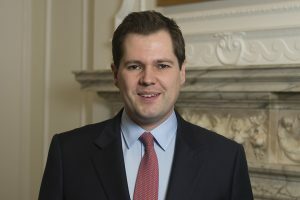 Below is the text of the speech made by Robert Jenrick, the Exchequer Secretary to the Treasury, on 24 January 2019. It was a pleasure to accept the Bio Industry Association’s invitation to attend your conference and to help launch the BIA’s financial report, which emphasises the strong position in which we begin 2019. …as with inward investment more broadly, this places us behind only the US and China in the world league tables. This country has long been the home of discovery. The academy where the likes of Crick, Darwin and Dorothy Hodgkin brought light into the darkest corners of human understanding. The lab where the first vaccines and beta blockers were developed. And the foundation for leading companies like AstraZeneca, GSK and Shire. Our extraordinary innovators and entrepreneurs continue to make Britain a world-leading force. Whether it’s potential new treatments for Alzheimer’s or fresh approaches to cell therapy. We’re home to four of the top ten medical sciences faculties in the world and some of the world’s largest research institutes. 17 of the 24 best research universities in the country are outside of the ‘Golden Triangle’ of London, Oxford and Cambridge. And the brilliant minds are cited in publications more frequently than any other except the USA. We are leading the world in new fields such as genomics and artificial intelligence. In the weeks ahead, we in government, Parliament and individuals will, I hope, take critical decisions, to provide businesses with greater certainty and begin to chart the course ahead for our economy and country. But our success will not be defined by those decisions, but by our ability to support and harness the energy and entrepreneurship of sectors like yours. No one could attend a conference such as this or read your association’s report and not be optimistic about the future of the country. In 2016 there were over 660,000 UK start-ups, while in 2018 £1.8 billion in venture funding and public listings was raised for British tech firms. that has recently raised over £120 million on the American stock-market to support its potentially life-changing research developing T-cell cancer therapies…. And Purolite, who opened their new advanced bioprocessing factory in South Wales last October to fulfil rising global demand. Great ideas, developed in the UK and brought to life by British entrepreneurs, sometimes struggle to access the finance and talent they need to make it big. Part of the solution is to deepen the relationship between British universities and business. One of our government’s key responsibilities is to facilitate the flow of capital, skills and knowledge between research institutions and the economy. Without picking winners, or exerting too much control, the role of government should be to help reconnect British universities with the market. You need only look at the growth of major new companies out of biotech hubs around the Universities of Bristol to see the potential for such partnerships. The growth of Ziylo Ltd., a company that targets new treatments for diabetes, out of the university to a firm now valued at more than £640 million is a great example of this. Areas like the Science parks at Oxford and Cambridge are incredible market places for the best research to meet the businesses that fund hypotheses into reality. Our infrastructure investment plan for the Oxford Cambridge Arc, will provide fast East-West road and rail connections between these two hubs of technical research. And this will facilitate the faster movement of ideas, people and capital across an increasingly interlinked community of tech businesses and clusters. The £20 million invested in this project in last year’s Budget alone, stands for the creation of an ecosystem of exchange that will empower entrepreneurs to harness the skills of both institutions – and the communities that lie between. Through better links between our universities and stronger ties between academics and the market, we will build an environment for the tech industry that can rival, or even surpass, those of Boston Massachusetts and Silicon Valley in the United States. We will shortly announce a business champion for this initiative, who will work with me and the government to elevate the opportunity and attract global investment. I also want universities and charities to consider how they manage intellectual property, ensuring a free flow of ideas and productive interaction with entrepreneurs and businesses to ensure it is used to the greatest effect. We need to give British and international entrepreneurs who chose to do business here the finance and tax incentives to take risks and build businesses here. It is for this reason that we have established the British Business Bank to provide a new £2.5 billion programme of long term investments in high growth potential companies led by ambitious new leaders. UK biotech companies raised more than £1.5 billion of investment in the first eight months of 2018, surpassing the £1.2 billion total in 2017 but I know that we can do much more. We have pledged to remove regulatory barriers to investment in the industry and other illiquid assets by UK-based pension funds- to unlock some of the £1 trillion that may be managed by our defined contribution schemes. Our consultations with the Financial Conduct Authorities will seek to streamline the flow of capital from the City of London to innovative tech business. The onus is on pension trustees and managers to be part of the future and I suspect they will need to be, as millennial investors, saving through auto-enrolment will demand their pensions are invested in part at least in innovative industries. And technology will transform transparency so those investors can check at the touch of an App on their smart phone where their money is invested. Last December’s Industrial Strategy Second Sector Deal for the Life Sciences sketched a path towards a much faster flow of private sector money into research. And laid down further plans to secure a global lead in prevention, diagnosis and treatment of chronic diseases. The Deal sets out a further £1.2 billion of new investment from industry, including a major £1 billion commitment from UCB to invest in one of their two global R&D hubs in the UK. It also includes a commitment to sequence 1 million whole genomes in the UK within the next 5 years – a world first that will truly make the UK the home of genomic healthcare. And enable the development of tools to speed up the accurate detection and diagnosis of disease. This government aims to see public and private R&D investment reach 2.4% of GDP by 2027 We have strong equity markets and a maturing VC industry, but we recognised there is more to do, not just to maintain our competitive position in Europe, but to challenge the US. Fewer UK firms receive follow-on funding than their US counterparts, and those that do receive less. Over the past 15 years, UK firms were half as likely to float as firms in the US or Europe. And only one quoted UK incorporated firm in the Life Sciences industry has grown beyond a £5 billion market capitalisation since 1999. In response, we have launched a plan to unlock over £20 billion of funding to finance growth in innovative firms. We are setting up a new investment fund within the British Business Bank with a £2.5 billion government investment. By keeping corporation tax low, and extending tax reliefs for knowledge intensive firms. Since coming to office in 2010 we have introduced the Patent Box, extended R&D tax credits, maintained SEIS, EIS and Entrepreneurs Relief as well as reducing Corporation Tax to 19% and now we have legislated to reduce it to 17%. Together these incentives for innovation and enterprise are world class and we intend to keep it that way. Maintaining that competitive tax and regulatory position will be more important than ever as we leave the European Union. Our departure from the European Union may in time offer the opportunity to draft a regulatory environment that more closely matches the demands of twenty-first century technology. We can be faster and smarter at regulating new industries than our European partners. Where European legislation has at times proved cautious or even hostile to research that investigates GM crops, AI development, and automation- I hope Britain can build a renewed system that understands risk and innovation. While the British Business Bank’s commitment of up to £200 million of additional investment in UK venture capital and growth finance in 2019-20 will tie over businesses in the short term, we will shortly be opening a review of longer term options to finance infrastructure and new technologies as we leave the EIB and EIF. Once again, I believe there are opportunities to deliver a comparable offer, faster and more tailored to the needs of the UK market. And a new immigration system that will not discriminate against talent from all over the world will bring new ideas to growth industries. Your industry requires access to highly skilled, highly motivated people from Europe and for beyond. We want our country to be open to the best and the brightest from all over the world. My colleague the Health Minister Matt Hancock is passionate about the benefit this new technology could bring to the NHS. He wants us to think of the world’s biggest health institution not as a barrier to innovation. But as a leader in it. The £20 billion we committed at the last budget to the NHS can be mobilised to reward the uptake of technology and innovation by those that need it most. and one of the most obvious beneficiaries of improved technology. the greater the benefits of new technology will be felt by all. …the greatest beneficiaries of all of this change will be the public. Like almost no other, your industry is special because its benefits so clearly feed back to the communities it arises in. Your innovations literally save lives. And I know, that with the right incentives, Britain has a lot to gain.